There is a good chance in the near future you’ll be interrupted from day dreaming in the backseat of your ride-hailed car by the sight of the person in the driver’s seat of the car next to you craning intently over her phone, texting with both hands, and the realization will dawn on you that you have witnessed your first fully operational self-driving car. Still hazy on what they are all about? Still not sure how far away in the future this scenario is? Are you one of the seventy-five percent of drivers that feel you would not be safe in a self-driving car? [i] Never fear, here are the essentials for you to quickly understand autonomous vehicles. 1. What is a self-driving car? Beyond defining autonomous vehicles, the U.S. government is the real reason why self-driving cars will one day be our reality - our new normal. If it wasn’t for the million-dollar bounty offered by the American federal Defense Advanced Research Projects Agency (DARPA) in 2004, we might all have still been pining for a more advanced, but simple solution to a major issue. [iii] So how do these puppies work? Keep reading. 2. How does a self-driving car work? The Brain. There’s three key steps to remember: first, the “driver” of the car is artificial intelligence; second, self-driving cars use an array of hardware –think of it as the body and organs below the neck - coupled with the artificial intelligence software – think of it as the brain – that plays a pivotal role in telling the software how to behave; and third, memory and data storage is critical for self-driving cars to navigate when weather conditions leave the roads in a less than ideal state – this is like the endless photos in your smart phone, except with near perfect search capability so you can find exactly what photo you want and when you want it. First, artificial intelligence software (AI), or the brain, of a self-driving car is basically a web of computer algorithms that digest and interact with data that is sucked in through the hardware components, or body and organs. For AI to develop, the system needs to have access to massive reams of data to detect patterns and build a dynamic repository of assumptions and predictions. Our brains make assumptions and predictions every second, like when you go to eat that juicy, fast-food hamburger, your brain is delighted because of the prediction it will taste just as good as it did last time. However, unlike AI, human memory has far more complexity, and flaws. After all, you ate the fast-food burger because you were able to fool yourself into forgetting that you always feel like you’re body is decaying and dying thirty minutes after you finish your meal. The AI in self-driving cars won’t highlight the good and downplay the bad the way our brains do, and that’s where the hardware, or body, comes in. 3. How does a self-driving car work? The Body and Organs. Second, autonomous vehicles use a multitude of hardware and technology, including sensors, sonar devices, radar, stereo cameras, and laser light to create 3D images of the vehicle’s surrounding environment. [iv] Similar to throwing a yellow yo-yo and feeling the impact of when it jerks back to you, the lasers on a self-driving car uses the light that rebounds to measure the distance of objects from the vehicle. 4. Who has invested in self-driving cars? Almost every car manufacturer or major mobile application you can think of has its hand in research and development for self-driving cars. Tesla, Ford, Google, Volkswagen, Toyota, and Honda are just a few from a long and growing list of private entities betting on autonomous vehicles being the solution to transportation woes. 5. How do self-driving cars compare to regular cars? 6. What are the immediate problems with self-driving cars? 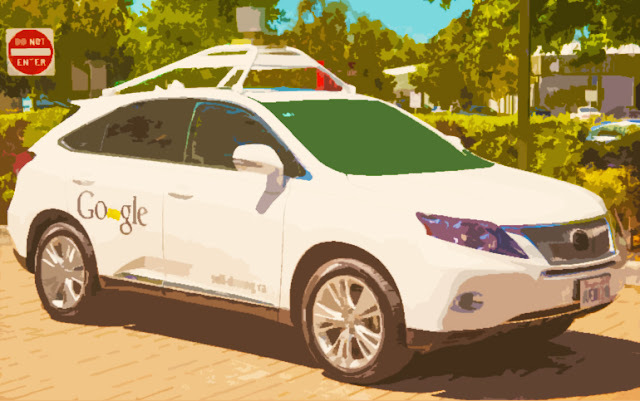 On Valentine’s day of 2016, one of Google’s self-driving SUV cars struck a public bus, causing a fender bender. No one was hurt in what is the first reported accident caused by a self-driving vehicle. The self-driving SUV was only going two miles per hour when it hit the side of the bus that Google claims it was tracking and believed would slow down. Google’s engineers have developed a set of assumptions based on data they review that tell the vehicle to assume, for instance, whether a normal vehicle will yield in a specific situation versus a bus or a truck in that same situation. Google’s self-driving cars, which they have been testing since 2009, have been in over a dozen accidents, though the autonomous vehicle caused none of those accidents. [viii] Companies are required to store all the data related to a car crash, including what was happening before and after the collision. 7. What are the long-term problems with self-driving cars? The goal of self-driving cars is to eventually remove the need for a physical driver to be in the front-seat…if there will even be a front seat in the future. Decades from now, manufacturers might construct cars that have no pedals or steering wheels, meaning if a self-driving car makes a miscalculation, there may be limited ways to intervene. Though tests have started, current self-driving cars still cannot handle a host of natural weather changes, such as fog or heavy snow. [ix] Additionally, the prototypes of self-driving cars are only the cute, grey and egg-shell white, two-person, bubble vehicle, which is completely impractical for families, and the general public at large that has a daily use for spacious cars that transport not just people, but groceries and other household necessities. Finally, there are other limitations due to the hardware and technology. The stereo cameras are accurate up to thirty meters, which means if let’s say a truck with an open cargo of logs was out of range and suddenly got into an accident out of the range of the cameras (Final Destination fans, this one is for you), you have to wonder whether the vehicle would detect it, and more importantly, move you to safety. 8. Where will you see self-driving cars first? 9. Will self-driving cars save lives? The Elderly. As regulators of car safety have mentioned before, a fully functioning, safe self-driving cars are in everyone’s best interest because they don’t text, fall asleep at the wheel, react erratically, or speed. What about the elderly? Since we’re born, we aren’t getting any younger. Research predicts that number of people in the world over the age of 65 will reach 1.5 billion by 2050. [xii] And what about the disabled? Currently fifteen percent of the world’s population lives with a disability. [xiii] Wouldn’t it be wonderful, and more cost-effective, for families to purchase an autonomous vehicle once and give the flexibility and freedom to their loved ones to be mobile and move through the world on their own terms? 10. Will self-driving cars save lives? The Hackers. Layla Tabatabaie, Esq. is a New York attorney, and the Founder and Chief Executive Officer for BarterSugar where she runs the day to day operations. She is also a producer at the The Drinking Press, a New York City podcast covering the intersection of history, culture through the lens of a different beverage each episode. Layla is the author of the law chapter in the academic text Learning in Virtual Worlds (2016). Prior to BarterSugar, Layla was a key legal research assistant for the legal treatise Art Law: The Guide for Collectors, Investors, Dealers, and Artists. She lives in her favorite metropolis, New York City. 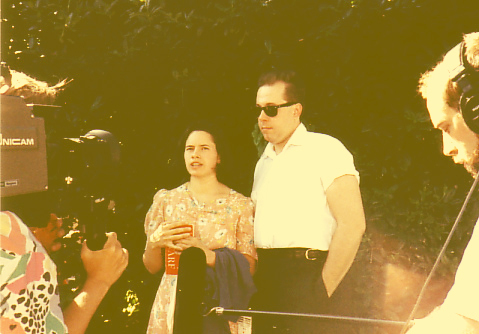 As long long looooooooong time fans of 10,000 Maniacs front person, Natalie Merchant, we are so pleased to find out that Natalie is firm believer of barter. Read all about her album release of "Paradise is There" in this piece by SFExaminer. And here's the link to Kind and Generous, because why not. There’s a resort near where I live, and I’ve found this great deal, wherein I give free concerts, and in exchange they give me access to their lovely spa and pool. That’s been the most significant change in my life – I barter. I believe in bartering, and so do they! Join for free bartersugar.com, and start barter and trading with other startups, small businesses, and freelancers that are excited to trade with you.